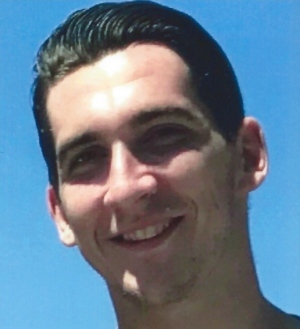 Brendan J Gallagher 26, of San Diego Ca. formerly of Braintree passed away suddenly February 5, 2019. He was a graduate of Braintree High School class of 2010 and served in the United States Army for 14 months in Afghanistan. Beloved son of John W. Gallagher of Quincy and the late Kathleen Connolly of Braintree. He is also survived by many aunts, uncles and cousins. Brendan enjoyed skateboarding, hockey, and concerts. Most important to him was family and friends. Brendan had an incredible personality and was one of the happiest people you would ever meet. His joy was truly infectious with a smile that brightened the room. He will be forever loved and missed. A Funeral Mass will be held on Friday February 15 at St. Francis of Assisi Church 856 Washington St. Braintree at 10 AM. Relatives and friends are respectfully invited to visit the McMaster Funeral Home 86 Franklin St. (RT 37) Braintree on Thursday from 5 to 8 PM. Interment Blue Hill Cemetery. In lieu of flowers the family sincerely requests that donations in his name may be made to Tribute Program St. Jude Children’s Hospital 501 St Jude Pl. Memphis TN 38105.